This TechnoHub Page Provides you Current ongoing 2018 offers, discounts, and Coupon Codes. These Offers from different Web Hosting Companies, Domain Registrars, and other Hosting Products Companies. 1] BlueHost Black Friday Sale! 2] MilesWeb Black Friday Web Hosting Deals! Take away upto 50% discount on Web Hosting. This is limited time offer and valid for first 100 customers only. 3] A2 Hosting Black Friday Super Sale! 67% Off on all A2 Hosting Linux and Windows Plans – Shared Hosting, Managed WordPress and VPS Hosting, Dedicated Hosting, and Reseller Hosting. Save Now! 4] Hostgator Flash Sale 2018! Now get flat 55% powerful web hosting which includes all benefits and add-ons at a discounted price. Shared Hosting: 65% OFF on minimum 6 months. WordPress, Cloud, Reseller, and VPS Hosting: 55% OFF on minimum 6 months. Up to 90% OFF on all Shared Hosting Plans – Shared, VPS and Cloud Hosting. Offer Until 3rd December. 7] Time4VPS One-Time Black Friday offer! It only happens ones. 50% recurring discount. Life long discount of all standard VPS packages. Get standard VPS from only 1.49 EUR/mo. Forever. Coupons are limited only 300 until 26 November 2018. 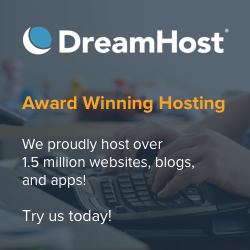 9] DreamHost Black Friday/Cyber Monday! Unlimited Shared Hosting Just for $4.95/mo. 60% OFF on Regular Plans. Promo Offer Period: November 23, 2018 to November 27, 2018. 10] SiteGround Black Friday/Cyber Monday Sale! 75% OFF Web Hosting Sale Campaign. 11] GreenGeeks Black Friday/Cyber Monday 2018. They are offering Web Hosting at killer rate of only $2.95/mo for 36 months. This Special offers valid for November 23, 2018 to November 26, 2018. 12] BazeZap Black Friday Biggest Sale Ever! Now get upto 60% OFF on web hosting which includes all benefits and add-ons at a discounted price. E7 Powered WordPress Hosting: 60% Discount. Coupon Code: Check Given Link. 13] Envato Market Black Friday Sale! 50% OFF WordPress Themes, plugins and more! Save 55% on Unlimited and Cheap Web Hosting Plans. You get Unlimited Web Space, Unlimited Bandwidth, Unlimited Emails, FTP accounts and Domains, Free cPanel, Malware and Virus Clean, Website Builder, High Priority Support and many more. Get Unlimited disk space & bandwidth, Unlimited email accounts, and Free SSL. #1 in Transfer, Support Team and Industry Guarantee. 16] HostUpon Web Hosting Sale 2018! # Free Domain Name Registration or Transfer, Website Transfer From Current Host, Website Builder With Templates, Script Installer: WordPress & tons more! #Real In-House North American Sales & Support. WordPress Hosting Now Starts Only at $4.99/mo. 90-day Money Back Guarantee. I hope these offers, discounts, and coupon code details help you to buy affordable hosting plans. You can Choose as per your need and organization requirements. Purchase Best Web Hosting service with Lots of Discount. Thank You!